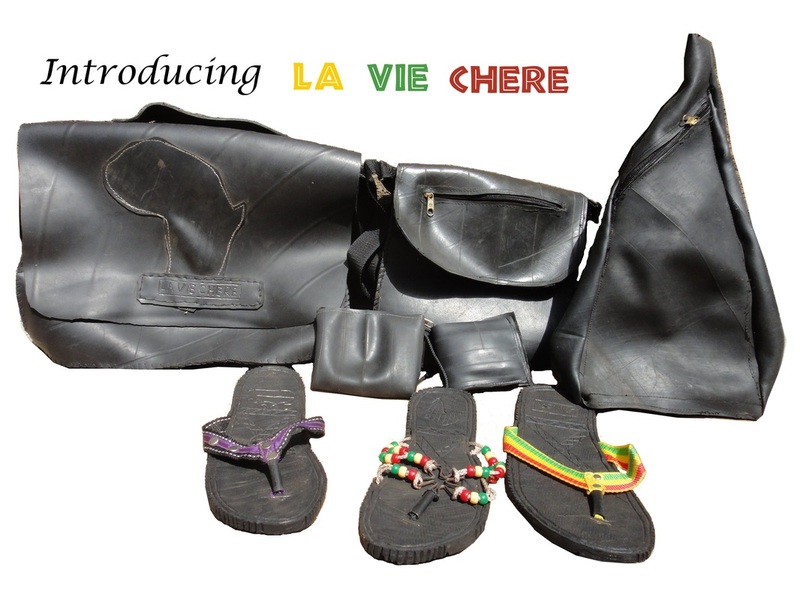 James, the same volunteer who is working with the Zidisha borrower I wrote about earlier, has another awesome project on his hands, the recently launched La Vie Chère Footwear. The company, based in Banfora, Burkina Faso, makes sandals, bags, and other accessories from the rubber of discarded tires. It has a TOMS-like model of one-to-one giving, called “Wear & Share”, where a sandal purchase results in a second pair donated. Even packaging and shipping are as green as can be as items are shipped in discarded boxes and rice sacks. My one contribution to the project was to help James with the interactive Google map on the site where a customer can enter their customer ID and are able to see who received their matching sandal donation. Check out some additional product photos, and you can even design your own if you wish!